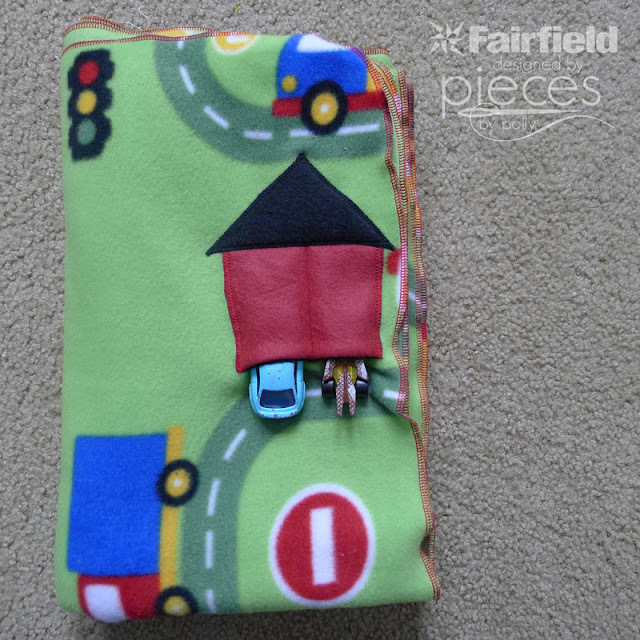 These easy fleece driving blankets as super fast to make and will be popular with the kiddos. 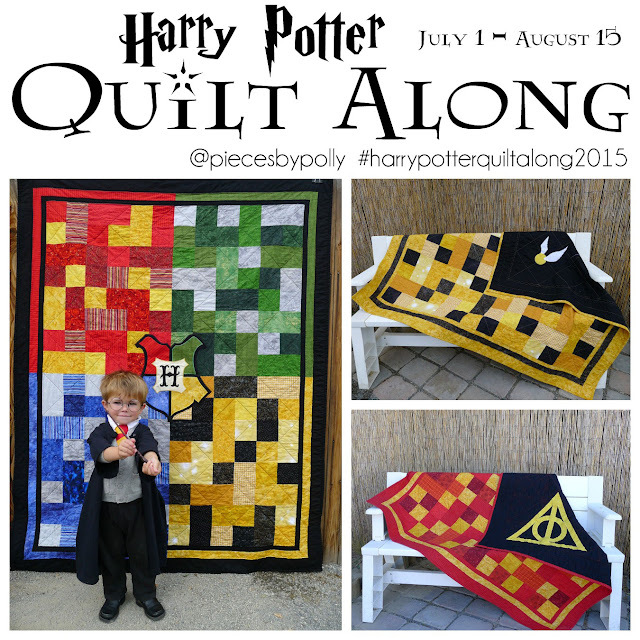 I love to make blankets and quilts for donation when I get a chance. 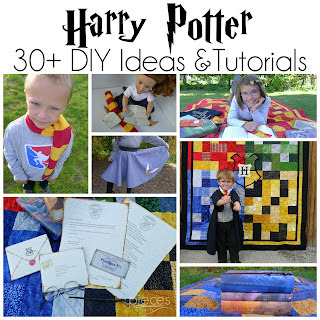 Things have been so busy the last few months in the run-up to Christmas that I haven't had a chance for much charity sewing, so now that Christmas is over, I wanted to take a break to sew a few. Using fleece scraps and Smooth fusible fleece from Fairfield, you can make a fun house-shaped pocket to hold a couple of little cars when not in use. 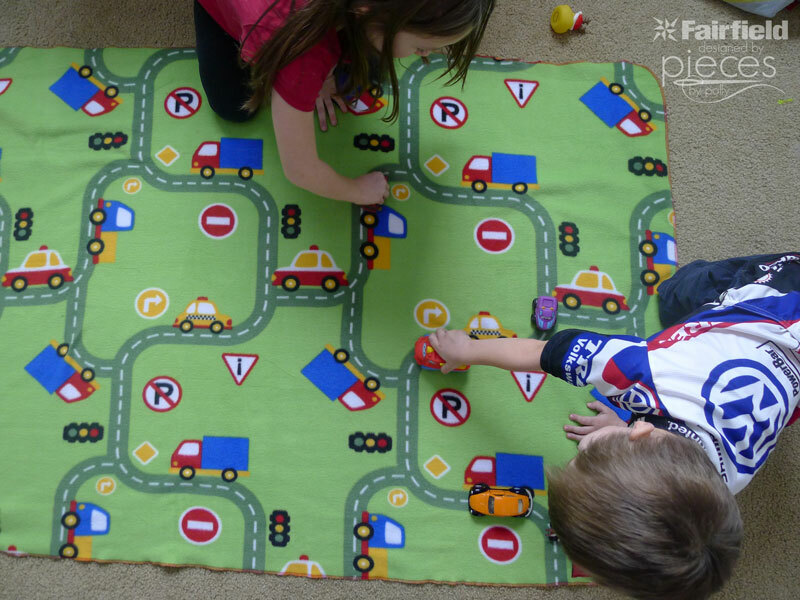 Keep on in the car for long trips, have fun at home, or donate to keep a sick kiddo entertained in the hospital...these blankets are sure to be a hit. 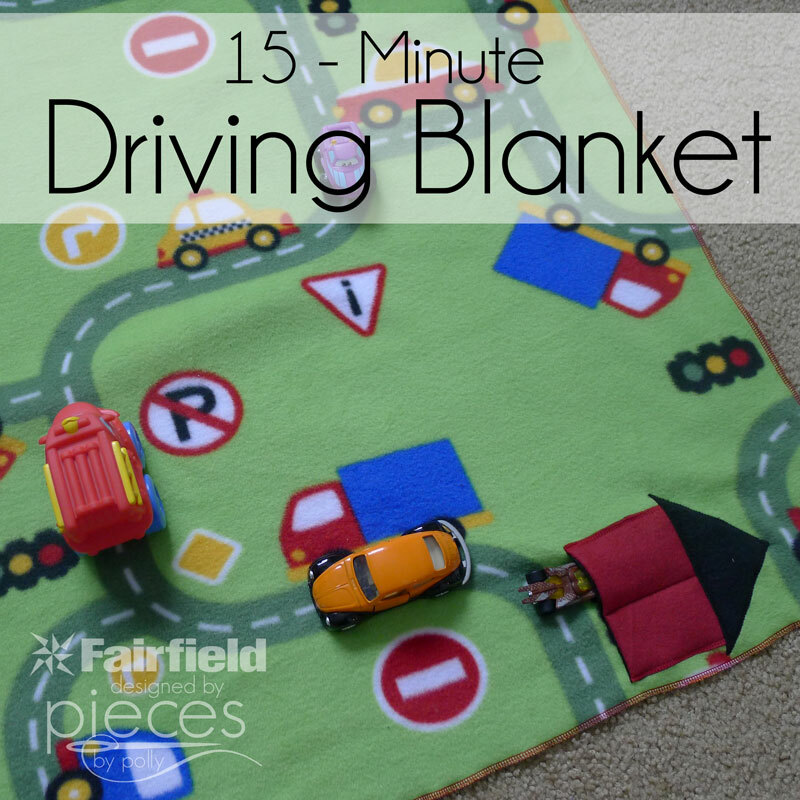 You can see my complete directions, supply list, and pattern for the 15-Minute Driving Blanket over on the Fairfield website here. 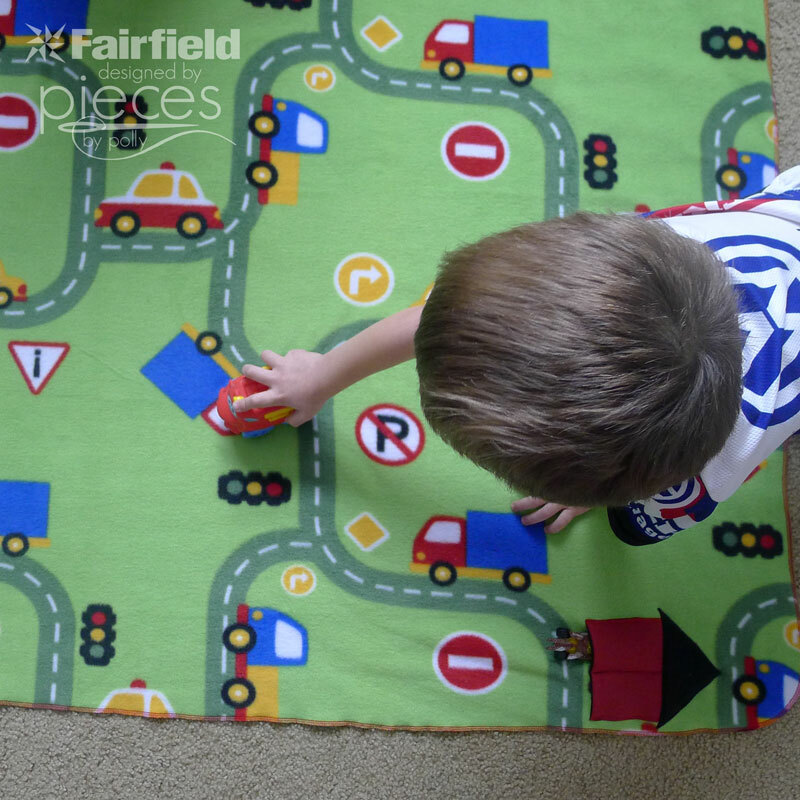 The blanket definitely passed the kid-approved-test. The 3-year-old had a tantrum when I folded up the blanket right after the pictures to keep it germ-free for the hospital kiddos.